sailboat. 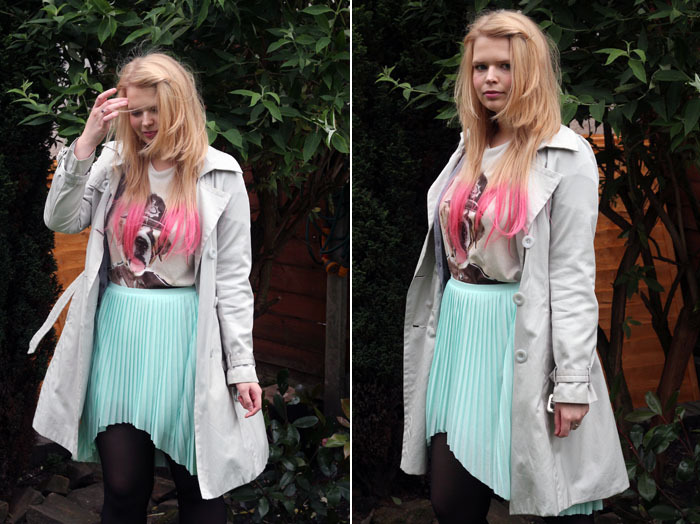 : What I Wore: Peach & Mint - Wear Your Wardrobe 02. 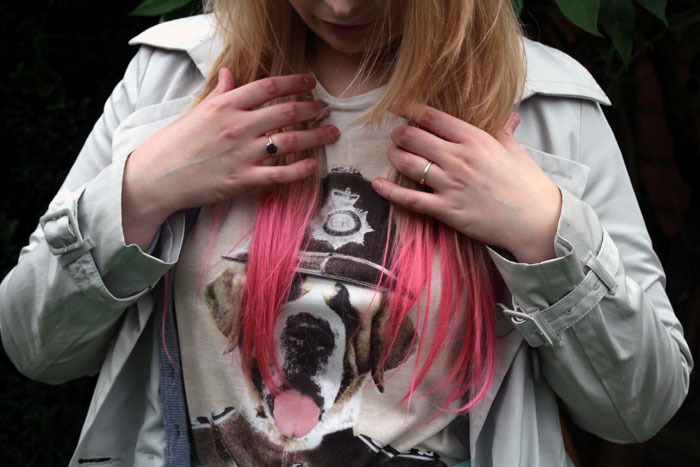 What I Wore: Peach & Mint - Wear Your Wardrobe 02. This is the second part of the Wear Your Wardrobe challenge from Most Wanted, which is the lifestyle magazine created by Voucher Codes. The aim of this challenge is to prove that with a little bit of smart shopping, you can revamp pieces in your existing wardrobe without having to spend too much money! 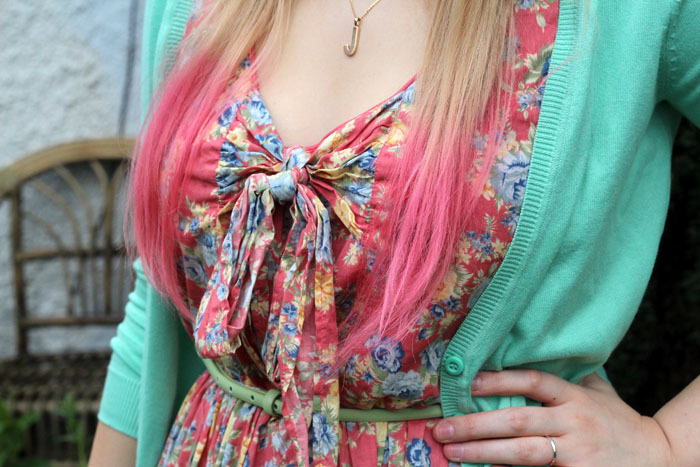 Cardigan: New Look♦ Dress: Mango. 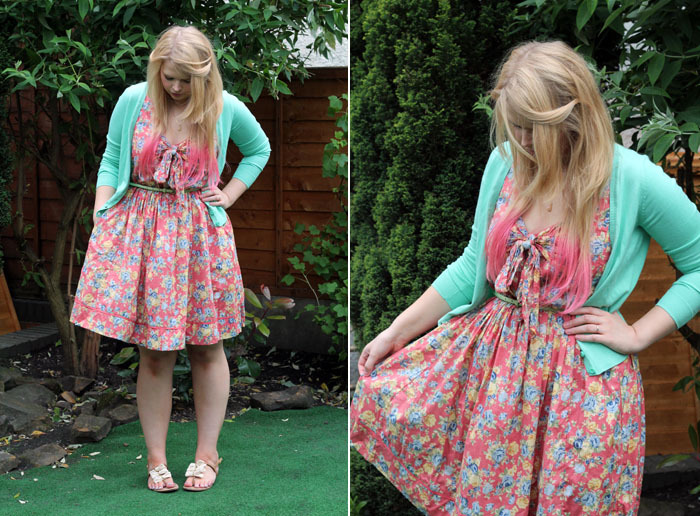 Belt: Matalan♦ Shoes: Primark. Necklace: Gift. Heart Ring: Scape Jewellery. My absolute favourite spring/summer colour this year is definitely mint because it's bright, fresh and seems to look so pretty with almost any colour. I first featured this mint cardigan from New Look in my last post where I paired it with a predominately white dress and I'm pleasantly surprised that it looks just as pretty when paired with a peach dress. I bought this dress from Mango last summer and for some reason I never wore it. It still had the tags on when I pulled it out of my wardrobe which I am suitably embarrassed about! It's a little big for me but that's okay because in the warm weather I prefer to wear more flowy pieces. To make it a little more flattering I cinched it in at the waist with this adorable pastel mint skinny belt that I found hiding at the back of a shelf in Matalan in a pack of three. 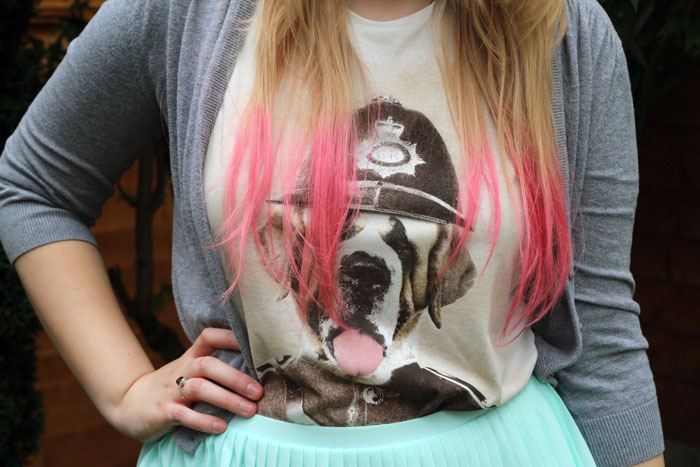 Skirt: Matalan♦ Tee: Primark. Cardigan: TKMAXX. Trench Coat: Primark. Ruby Ring: Studio 59. Following on the mint theme I finally dipped my toe into the high-low/dipped hem trend. When I was thinking about the staple pieces that would fit into my wardrobe I knew I would love to find a skirt because for some reason I never seem to gravitate towards them. This tee is one I found in Primark a good few months ago now and is another item I put in my wardrobe and promptly forgot about, I really need to stop doing that! I'm not entirely sure how I feel about this pleated eclipse hem skirt from Matalan, I think I like and dislike it in equal measures. The colour is perfect, the material is so beautifully soft, I actually really like the pleats but I hate that it's so short in the front. I think this is one of those skirts that you have to have beautifully slim and toned legs to wear it well, which sadly I don't. I may have to exchange this for a maxi skirt, or something that's a little more flattering for my body shape. I'd really love to know your opinions on this skirt, should I keep or exchange? 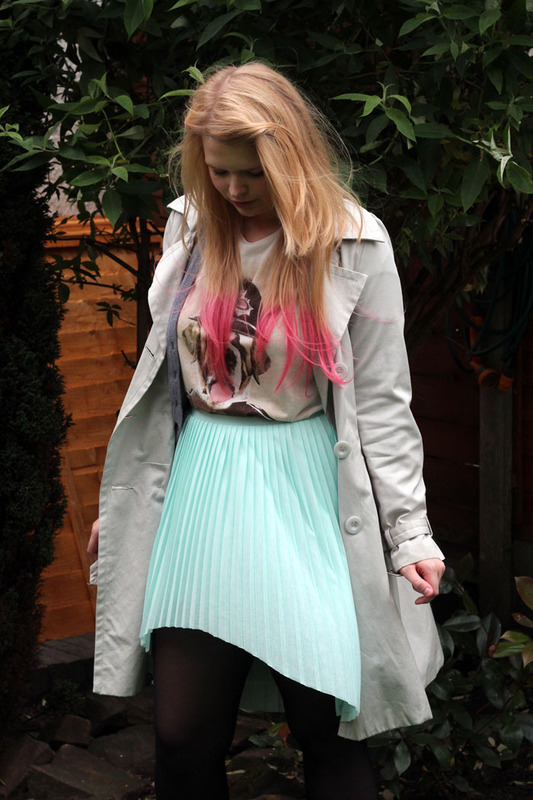 I am loving this mint skirt, its beautiful. Love the second outfit, you really pull it off. More posts like these!! 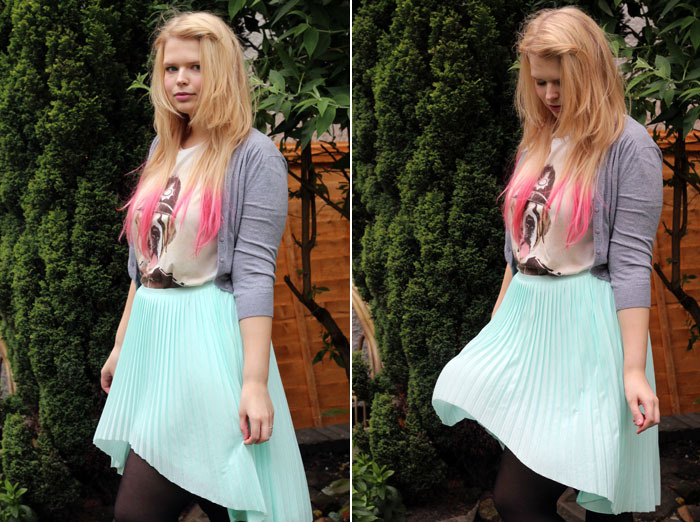 Love both of these outfit, the mint skirt is lovely! I think the dipped hem skirt looks beautiful on you Jennie but if you don't feel comfortable then there's no use keeping it. Nothing worse than feeling awkward when you're out and about! oh my goodness! you look AMAZING in both outfits!